At some point during the last year, I realized that I&apos;d accumulated too many boring black dresses. They&apos;re practical, yes, and clearly versatile, but any time I had to get dressed up, I wasn&apos;t inspired. As much as I&apos;d try to make things pop with a fun shoe or bright lip, the end result felt the same. But when I saw this dress, I knew it would be just the piece to change things up a bit. 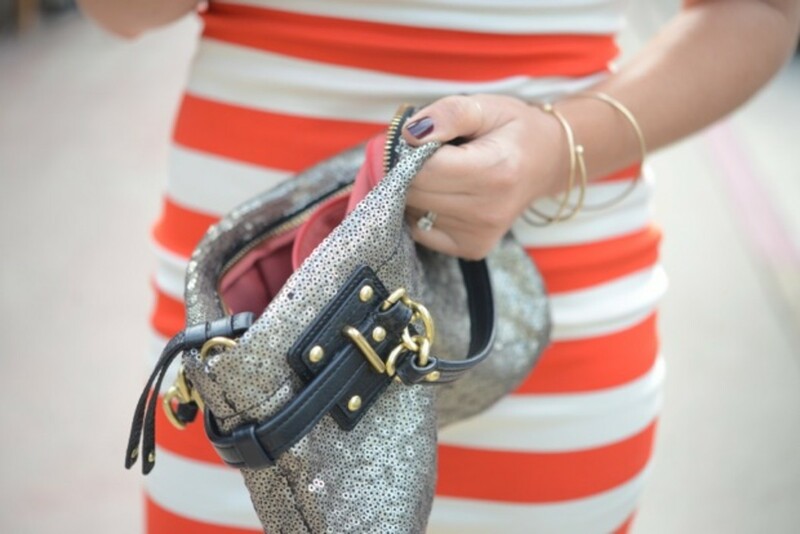 I don&apos;t usually drift towards strapless-anything, but stripes keep things playful, so it doesn&apos;t feel too serious. And to my delight, it&apos;s turned out to be surprisingly more wearable than I anticipated (especially when I throw a sweater or blouse over the top so that it&apos;s a makeshift pencil skirt).